The previous version of the web app could load on an iPad, but it didn’t feel optimized for it. The list view didn’t show much detail, and certain fields like the Description field could be cut off. That makes sense because it was really designed for a mouse and keyboard experience, whereas tablet apps usually require larger controls. So we spent the past few weeks improving the experience and making it more touch-friendly. The list view received a lot of love, and it now shows the Item Type, Category, prices (based on your default Pricing Scheme), and even the Barcode. To make the web app faster to navigate, you can now tap on the top of the list to expand or minimize it. We’ve also improved the pop-ups on the sales order item picker so that you can easily create new orders on the go. 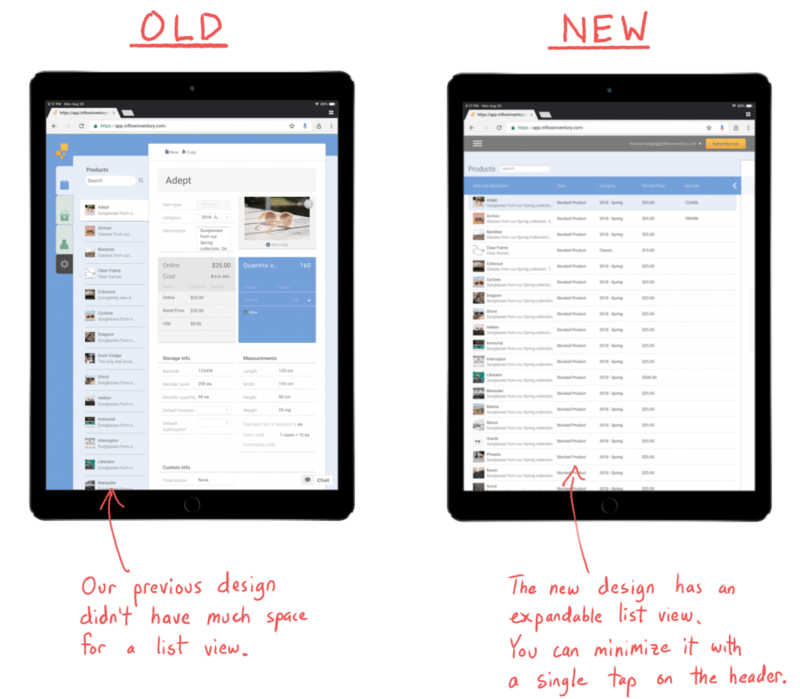 We’re slowly but surely building out the feature set of inFlow Cloud’s web app, and this update ensures that you’ll be able to make the most of it on your laptop or tablet. 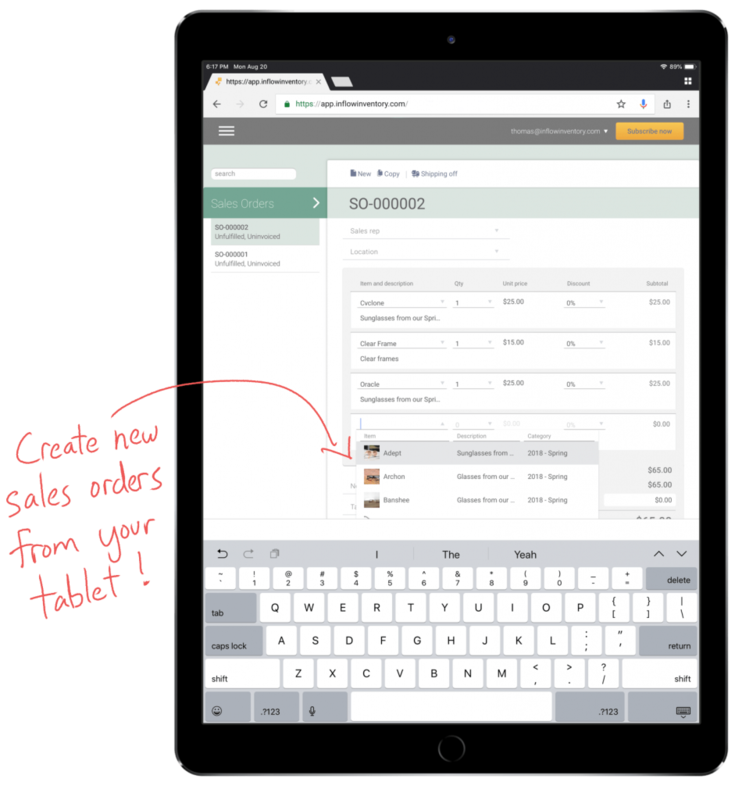 So if you want a device around the warehouse that can help you quickly check and update stock, or create a quick sales order on the road, then grab an iPad and head to https://app.inflowinventory.com/ to try it out! 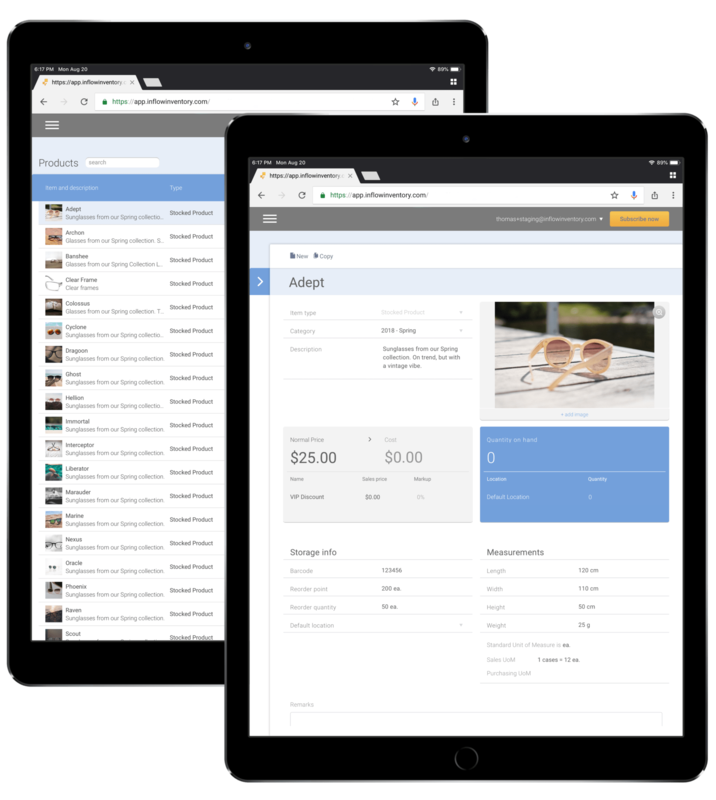 Are you guys going to implement product pictures on Quotes and/or Invoices? Hi Dayam! Sorry, none of our current versions of inFlow show pictures on printed invoices/quotes. We do keep tabs on feature requests though, and I was going to add your request, but it’s actually already in our system. So if we add a feature like this in the future, we’ll make sure to email you directly to let you know!